Delhi Chief Minister Arvind Kejriwal took a jibe at the Centre with a tweet hinting at businessman-politician nexus in the country. Two days after the government decided to give the proposed Jio Institute the tag of ‘Institute of Eminence’, Delhi Chief Minister Arvind Kejriwal took a jibe at the Centre with a tweet hinting at businessman-politician nexus in the country. “Pehle Congress sarkar Ambani ki jeb mein thi, ab Modi sarkar Ambani ki jeb mein hai. Kuch bhi badla kya? (Previously, the Congress government was in Ambani’s pocket; now the Modi government is in Ambani’s pocket. Has anything changed? ),” wrote Kejriwal on Twitter. The Delhi CM was commenting on former BJP leader Yashwant Sinha’s remark on Mukesh Ambani. Jio Institute has not even been set up. It is not in existence. Yet govt grants it eminence tag. That is the importance of being M Ambani. The Delhi CM is a known critic of Mukesh Ambani, the chairman of Reliance Industries Limited. 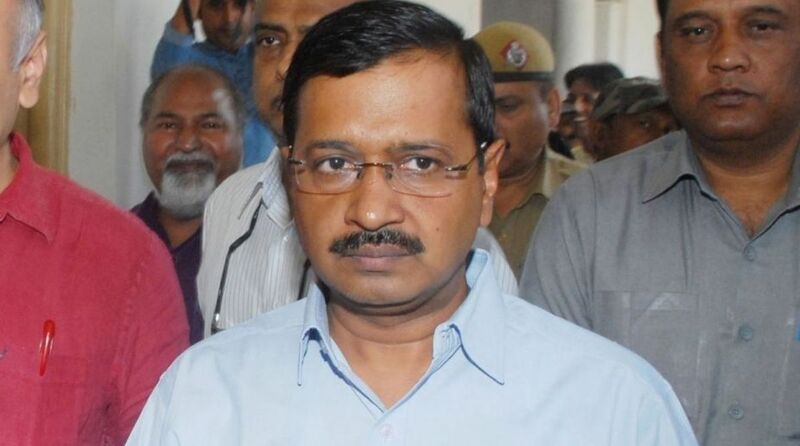 The Delhi government under Kejriwal’s 48-day tenure had filed an FIR against Reliance over corruption in the pricing of gas produced from the Krishna-Godavari Oil Basin. The case was filed by Delhi’s Anti-Corruption Bureau, the powers of which were curtailed through a notification issued by the Modi government on 23 July 2014. In August 2014, Kejriwal had alleged that the Centre limited ACB’s power because it was investigating against Ambani. “Central govt has quietly curtailed the powers of Delhi’s Anti Corruption Bureau(ACB). Why? ACB is investigating against Mukesh Ambani,” he wrote on Twitter. On Monday, the Ministry of Human Resource Development (MHRD) assigned the coveted ‘Institute of Eminence’ tag to six institutions – IIT-Delhi, IIT-Bombay, Indian Institute of Science (IISc), BITS-Pilani, Manipal Academy of Higher Education and Jio Institute. Of the six, only Jio Institute exists only on paper as of now as it neither has a brick and mortar set-up nor virtual presence yet. As a major controversy erupted following the granting of the tag to Jio Institute, which is backed by Reliance Foundation, the government issued a statement explaining the meaning of the tag, and the rationale behind granting the same to Jio Institute, and the future prospects of the institutions that failed to qualify for the tag. The ministry said that the non-existent Jio Institute was granted the tag under clause 6.1 of the Universities Grants Commission (Institutions of Eminence Deemed to be Universities) Regulation 2017 which allows granting of such a status to proposed institutions or Greenfield projects. According to the ministry, only Jio Institute fulfilled four parameters set by the EEC – availability of land, placing a core team, funding, and a strategic vision plan. A total of 10 public and 10 private institutions are to be selected in the IoE list, which is meant to provide autonomy and funding to help elevate them to world-class status.